This chapter highlights how companies might use social media marketing to build brand credibility and, ultimately, consumer-based brand equity. By building brand credibility and equity through SMM, companies can connect with distinctly different consumer groups. 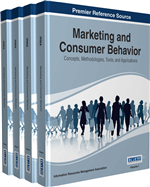 Because consumers are adept integrators of marketing communication channels within and across media, companies with strong virtual communities may reap even greater results from the theoretical perspective of customer-based brand equity discussed within the chapter. Marketing scholars and practitioners alike may find this chapter of interest due to the growing desire by companies to develop strong bonds with consumers and their interest in effectively using social media as a marketing tool. This chapter highlights an approach for developing consumer-based brand equity via social media marketing (SMM). SMM can provide a relatively inexpensive way to connect with interested consumers, leverage their connected “friends,” and tap into valuable social intelligence via crowdsourcing and other passive means. By using the suggestions provided in this chapter, practitioners may be better positioned to maximize and refine their ongoing social media marketing efforts for better effect to create brand equity and increase traditional market share. As a means to provide context, this topic is viewed through the strategic lenses of Relationship Marketing and Consumer-based Brand Equity, and views SMM as a tactical action. Marketing has often been epitomized as the singular act of exchange (Bagozzi, 1974). The exchange or transaction was the “be-all, end-all” moment. When money changed hands, the exchange was complete. Many of us came to understand this phenomenon through the teachings of Porter (1987) and a supplier-centric view that concretely and systematically helped to dissect the supply chain, diagnose gaps, and maximize the firm’s interest through a strategic process of financial impact and outcome scenarios. Viewed this way, the marketing concept (or the idea of exchange) was easy to grasp. I make something, I price it, I promote it, and I distribute it to the customer. Figuratively, the moment of exchange was the point in time when that product left the sellers’ hands and was placed in the buyers’ hands. However, this view has since evolved. In 2004, The American Marketing Association (AMA) modified its definition of marketing to “Marketing is an organizational function and a set of processes for creating, communicating, and delivering value to customers and for managing customer relationships in ways that benefit the organization and its stakeholders” (AMA, 2008; emphasis added). Since then, the concept of relationship marketing (RM) has become accepted as a more modern view of marketing (Harker & Egan, 2006). This modern view shifts our understanding of the company consumer dyad, with contemporary marketing researchers proclaiming that customers can no longer be viewed as being in endless supply and passive in regard to decision making – no longer can we take a “one size fits all” approach to the simple manipulation of McCarthy’s (1960) 4Ps: Product, Price, Place and Promotion, as was the case for decades using a transactional approach to marketing. From this perspective, RM can be viewed as a paradigm shift for marketers who desire to move beyond a transactional approach toward more of a relational one (Grönoos, 1994; Gummesson, 1994). If we dig deeper into RM, traditional RM efforts typically begin with the direct channel partners being the focal point for planning, investment, and program support as shown in Figure 1. In this context, funding, support and attention by the selling partner all serve as ‘accelerants’ for the relationship development with the buying partner. Thus relationship strength is evidenced through increased commitment and trust among direct channel partners via an enduring desire to continue as partners and/or partner dependency. Because relationship development commonly begins with the direct channel partners, traditional approaches to RM are commonly “inside out.” In other words, attention is inward on direct channel partners with little attention given initially to indirect or “outside” channel members. The actions the supplier takes toward the direct channel buyer are designed to “insulate” the relationship against competitive threat and strengthen both desire and dependency to remain partners. Because in most circumstances resources are limited, funding and support of any outside, or indirect channel members typically occurs only after direct channel relationships are perceived to be stable and secure.